HaySparkle: Technic Colour Fix Palettes Reviewed & Swatched! 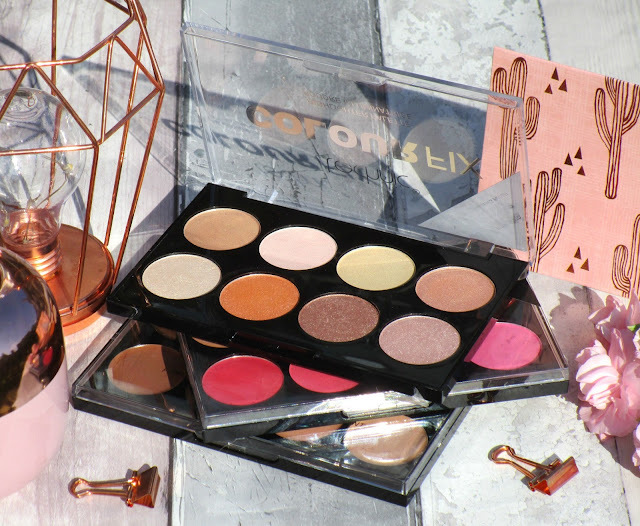 Recently I've blown away by Technic Cosmetics eyeshadow palettes, the quality is just so good for the price and when I saw Technic had a Colour Fix range that consists of blush, contour and highlight palettes in cream and powder formula's I just had to see what they where all about! I think highlighting is my favourite step when applying my makeup, I'm literally obsessed with the look of highlighter on my skin, I mean who doesn't like to look like a glazed donut, I know I do he he, and Technic's Highlighting Palette can achieve just that! 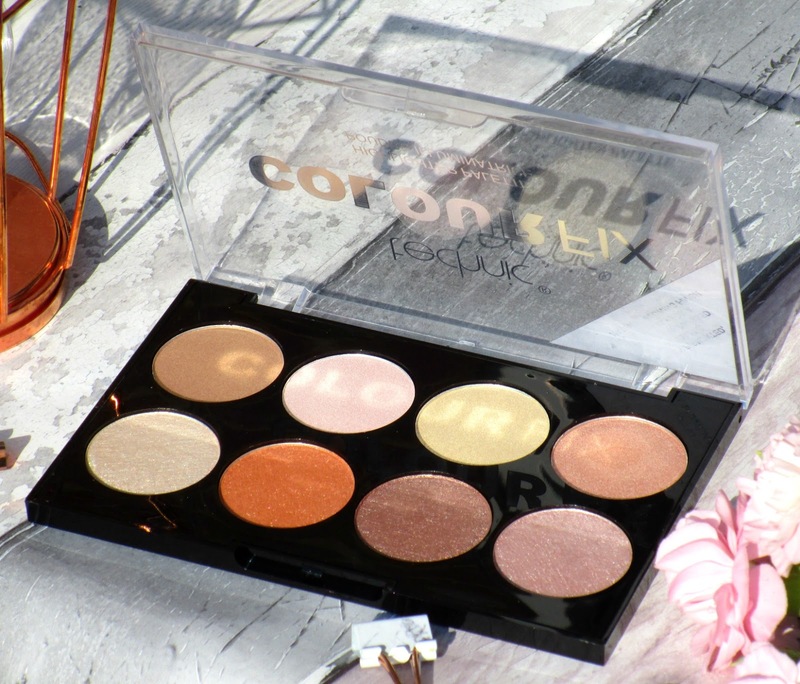 The palette itself contains 8 highlighting shades with two different formula's, the four shades along the top of the palette are pressed powders and the four shades across the bottom are baked powder, all of which create the most stunning highlight. As you can see from the swatches the shades of the highlighters are all different making it so versatile and suitable for all skin tones, and the quality is incredible, I'm talking super pigment, super blinding, super glazed donut and super affordable, I love it! If you love a pink toned blush then this Colour Fix Powder Blush Palette is for you, it contains eight all matte shades - six of which are different tones of pink and two of which can double up as bronzers and blushes which is a nice bonus. 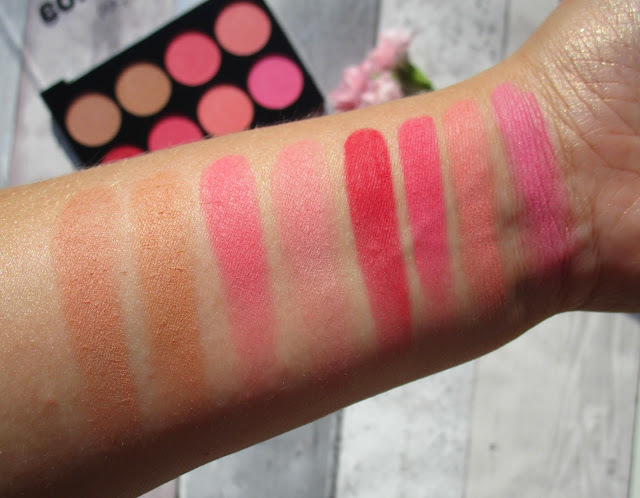 The formula of these powders is lovely, I was quite surprised to see such pigment from matte blushes that are so affordable but as you can see from the swatches some of the shades are quite intense and a light hand is needed during application, they do go on beautifully though and blend out nicely, for £2.99 you really cant go wrong. 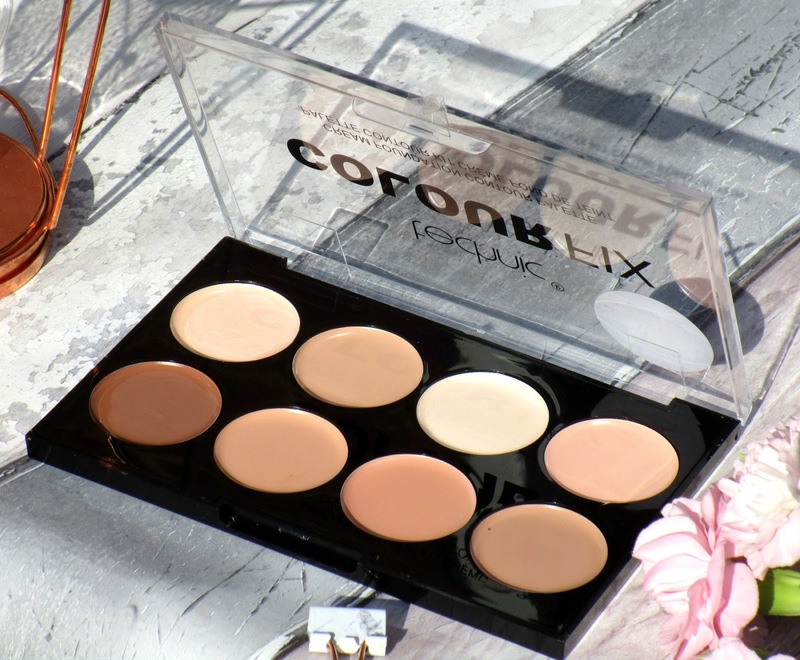 Contouring isn't something I do often but when I do I always like to opt for cream formulations as their so much easier to work with than powder and this Technic palette works a treat! 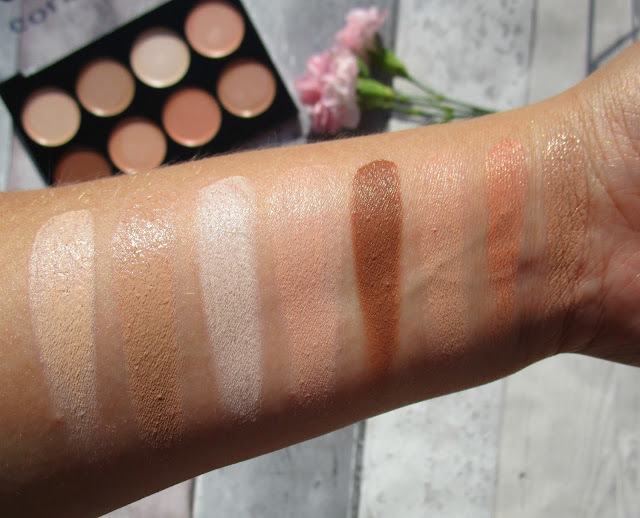 All eight shades are so creamy and blendable and what I love the most is that they dry down to a matte finish which means they don't feel tacky, heavy or move around on my skin through the day. 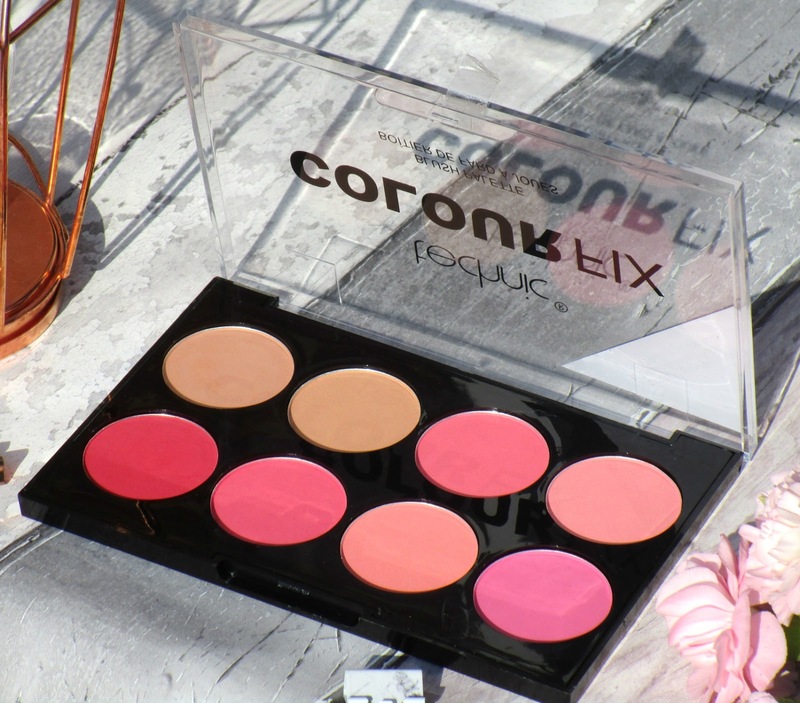 Theres a good mix of shades to play around with too whether you want to highlight or contour and I find it such an easy palette to use, which is really saying something because I'm such a novice when it comes to contouring, he he! Overall I think whether your new to makeup or a pro these palettes are great, I honestly cant knock the quality for the price and I've really been enjoying using them all, I do have to admit that the highlighting palette is my favourite but that's only because I'm such a highlighter addict he he! 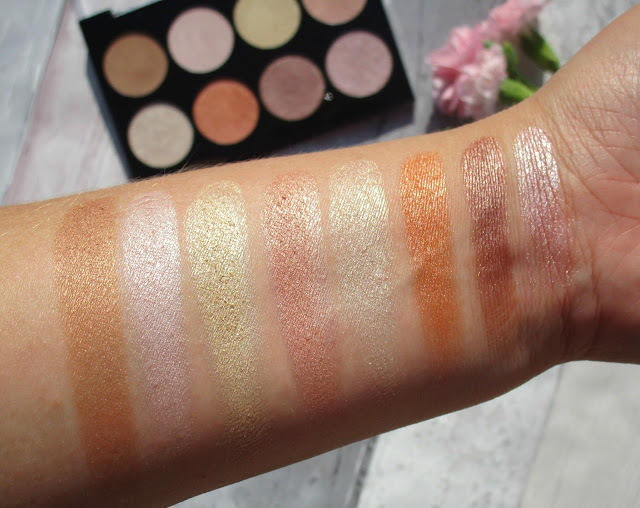 Have you tried any of Technic Cosmetics Colour Fix Palettes beaut's? Which is your favourite? I'd love to know! Those highlighters look so pigmented and blinding, I need to try them out! I just got a highlighter from Technic and totally love it! I was considering buying one of their eye shadow palettes but wanted to check out some reviews first, so thanks!